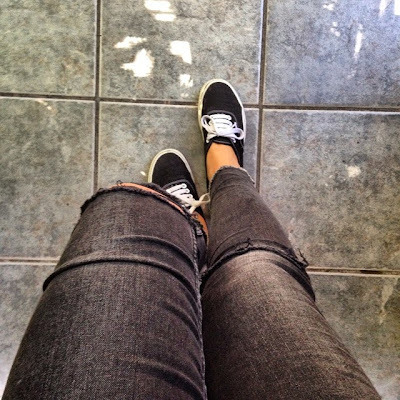 Forget about the high heels, it´s all about sneaker now. I can see you smiling through the computer, no more foot pain. Sneakers are no longer for a sports use, you can now wear them to work, and go well with couture dresses and you can even get married in them? Yes, that´s right. I remember that back in the Spring 2014 Couture show, Chanel surprised us all with a whole collection of outfits and matching sneakers. And to say more, the bride also was wearing sneakers! The previous day, Dior had also presented a collection with some sneakers, but it was a subtle hint of what was to come. Next fashion week everybody was wearing sneaker, in all colours, shapes, sizes...whatever! Unexpected in this world. I want to remark that whenever I said "sneakers" before, I was referring to the "sporty" kind (that can´t be worn to practise a sport). You can see the complete Chanel collection here and Diors' here on style.com. Then came the "slip on" or "skaters", that are no longer skaters. Surprised? I´m not. They are like the classic low-tops such as Vans but without laces. I believe they are the most "formal" out of all sneakers. By far, my favourite option. And last, but not least comes the Adidas Superstars Supercolor by Pharrell Williams. 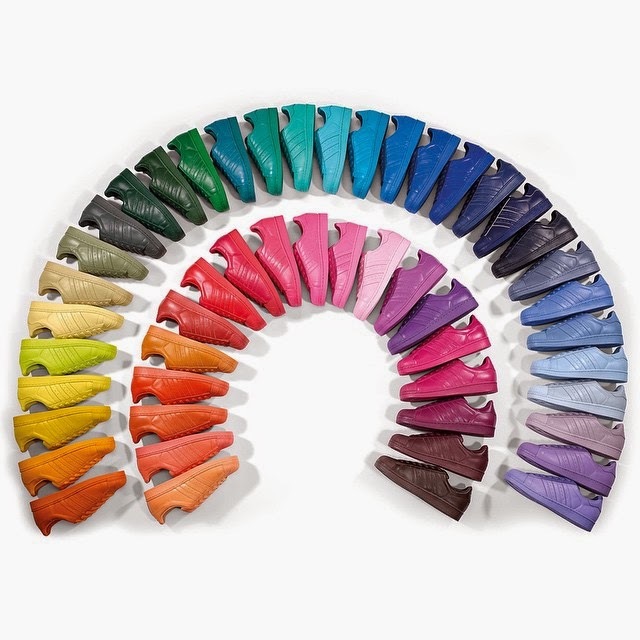 This time the classic shoes were made into 50 different colors so that nobody can feel excluded. I got mines last week in Semi Solar Pink and I totally love them, I still have to take them on a walk and tell you about it. 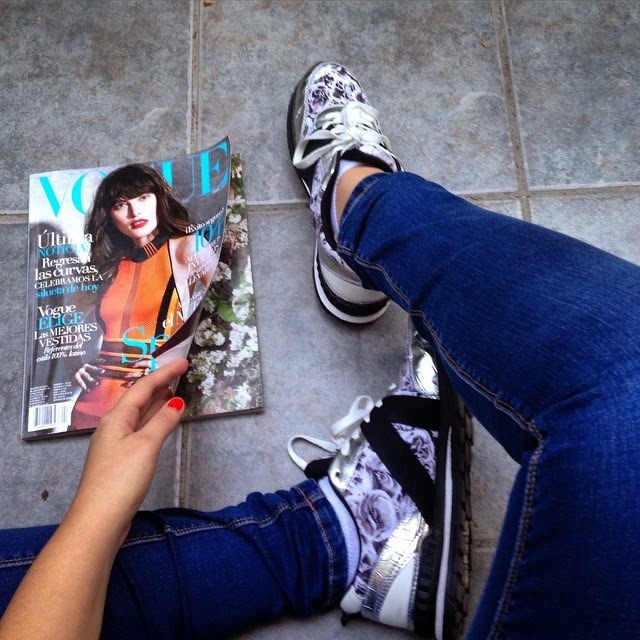 Also I´m crushing on the sneakers from the Adidas x Topshop collab, in a silver color. If I had a Topshop near me, I would already be wearing them. The sneakers I wear the most are the black (and white) Vans and the white Converse. I remember reading somewhere that every time Alexa Chung gets a new pair, she always dirty them with mud so that they don´t look new. That part is optional. Next I made a selection of the craziest Sneakers I could find on the market. From wedges for those who want to look taller, high-tops for winter, low-tops for everyday, slip on to look a little bit more formal and the new ones, the sporty kind. 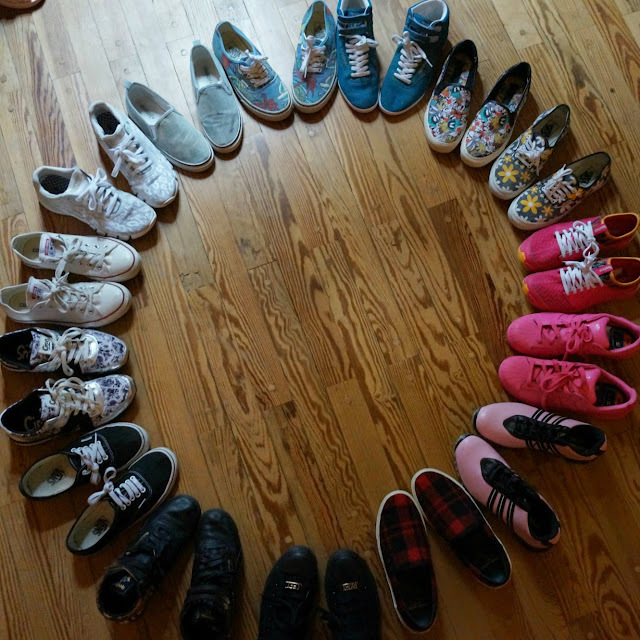 And here are all the pairs I own. Many of them are included on the previous link, and if not it´s because they are not brand new. Are you into sneakers or you still want to suffer in heels?